The leaves are changing and the sky is crisp. The perfect scene for a wedding. 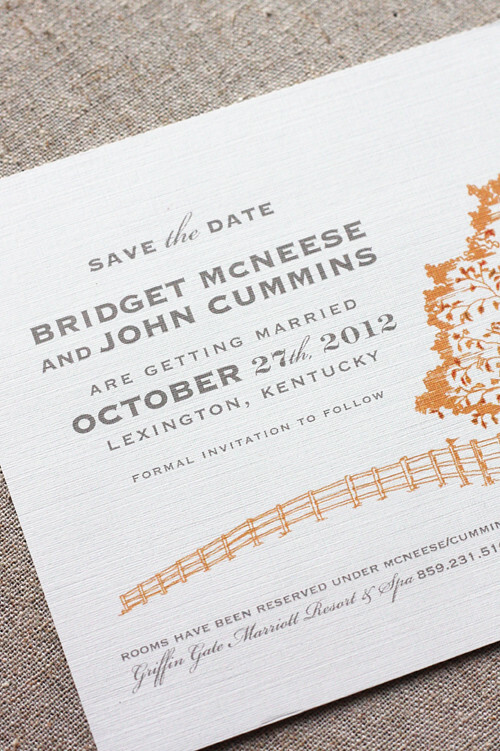 Fall in Kentucky certainly inspired the latest invitation we just wrapped up. Stone walls, rows of trees in pastures, and leaves falling. 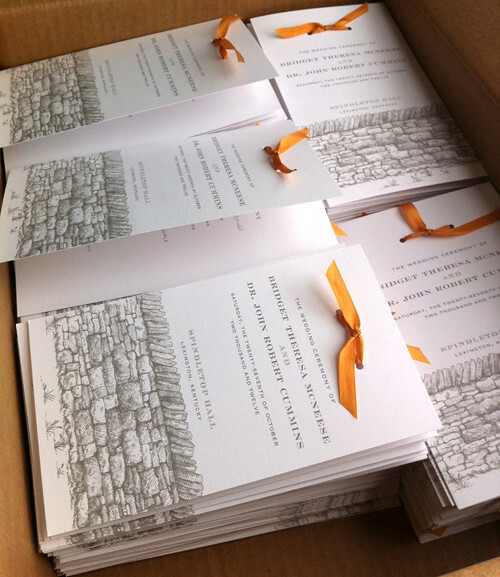 The bride loved the stone wall we had created earlier on Bonnie's invitation. 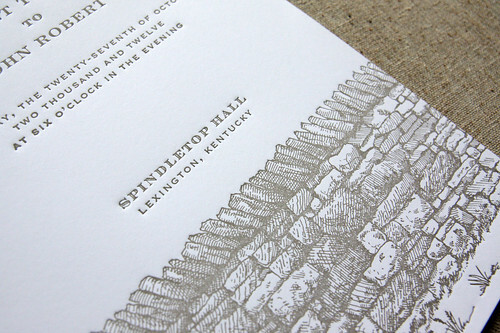 (once again… thank you Southern Living Weddings for that feature that keeps on giving!) 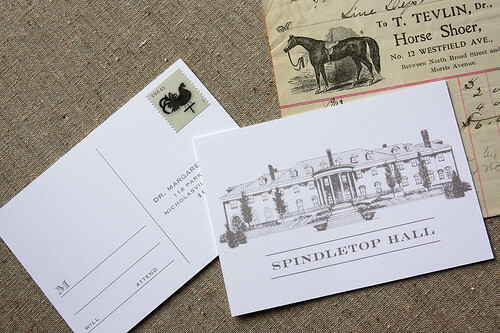 Currier also illustrated Spindletop Hall, a mansion and sprawling property built in 1935 in the heart of horse country. 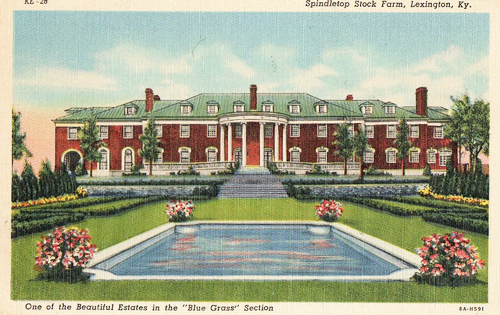 It's now owned by the University of Kentucky Alumni Club and serves a private club. 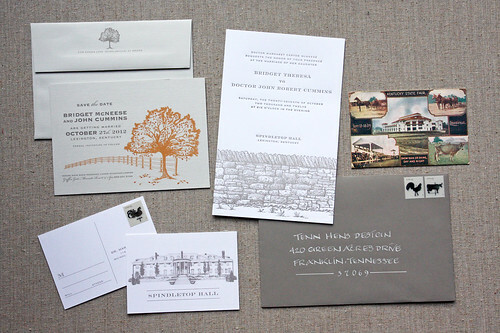 We used a mix of grey linen paper, cotton stock, thermography, letterpress, and grey envelopes to give the suite a punch. 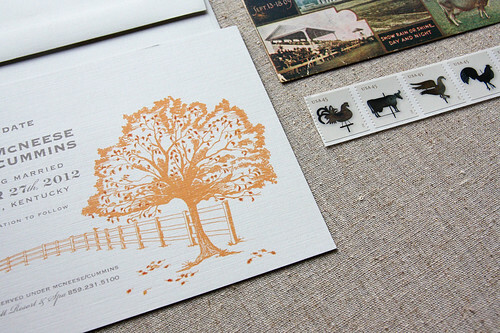 These fabulous weather vane stamps were the perfect final detail.